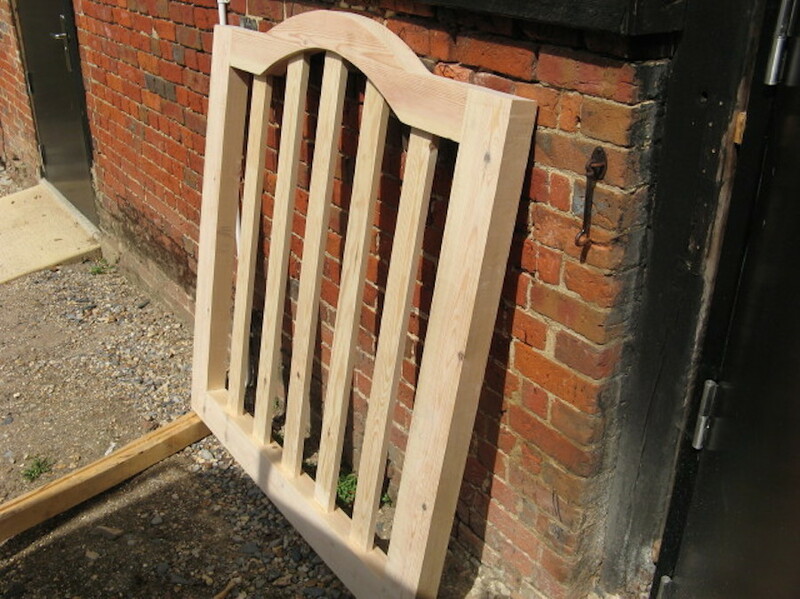 Replacement gate finished in stain. This is a copy of the original which had rotted beyond economic repair. For me this was an interesting project because it involved some curved work which does not come up that often so it gave me a chance to blow off the dust on the bandsaw and use it to achieve the curve. Each mortice and tenon joint was pegged using ¾” Oak dowel as well as glue. This will ensure that the joints remain tight. The old gate had rotted because the joints had opened and rain water had sat in the shoulder between the stile and rails. 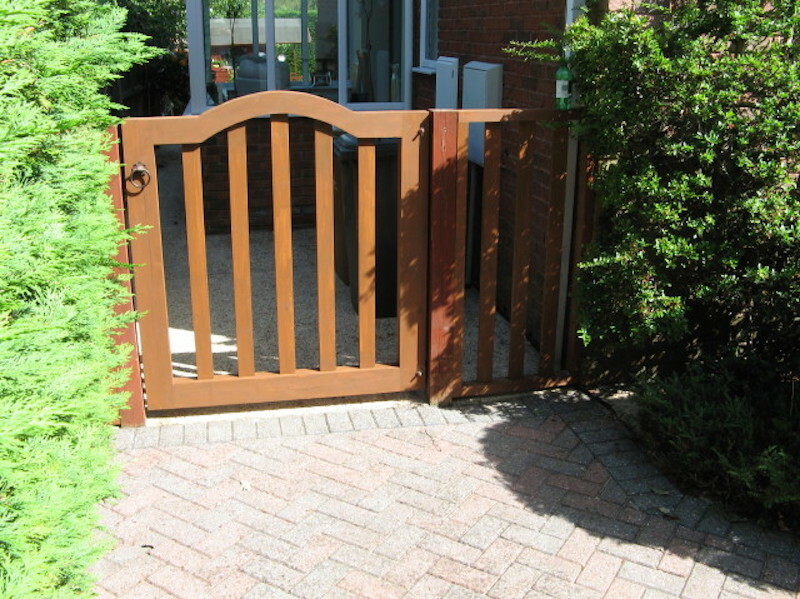 A single driveway gate with an entrance door fitted in the middle. These gates are heavy so a jockey wheel has been fitted to take the stress off the hinges thus ensuring that the gate will not drop over time. The door opens independently or the whole gate can be opened as a single leaf. 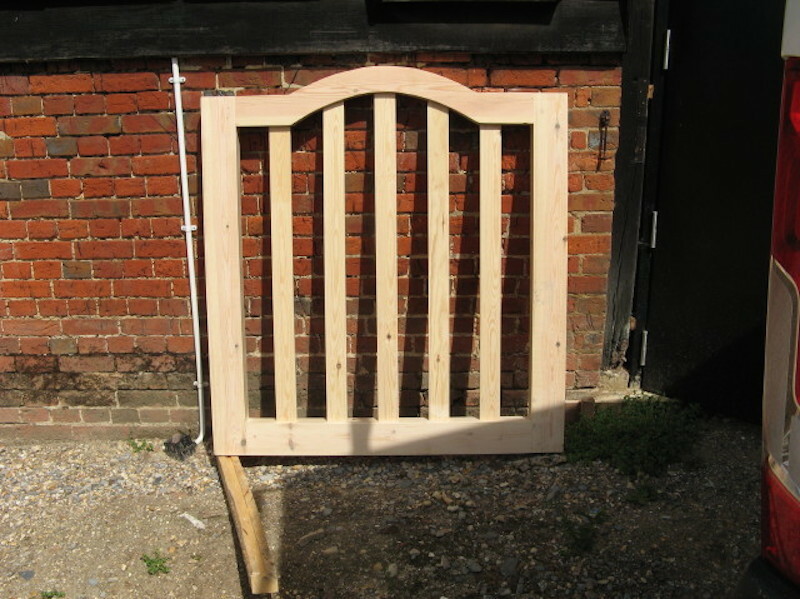 Manufactured from tannalised softwood for the frame and tannalised tongue and grove for the panels this should last. Overall its 2.6 Meters wide and 2.2 Meters high. The images accompanying this show the manufacturing then the final piece in situ. These garage doors were made to measure by a joiner several years ago. There are several issues with the doors because of design and manufacturing mistakes, that have resulted in the joints opening and the panels bowing. 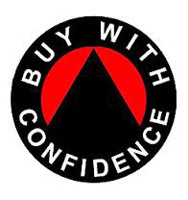 The panels were glued into rebates – mistake no1. They should have been left loose and undersized so that any natural movement could be taken up. The panels were also too wide without an easing groove machined on the backs – mistake no.2, I was unable to dissemble the doors entirely so I machined grooves into the panels to allow some movement to occur otherwise they will all bow out, two of the panels had already bowed. The mortice and tenon joints should have had Oak Dowels driven home through both the mortice and tenon -mistake no.3 Doweling mortice and tenon joints ensures that the joints remain closed. The solution to the above was to reduce the panels closest to the stiles these were the only edges I could get to without smashing the door apart, and to glue the mortice and tenon joints. I could have used Dowels as well but the tenon’s did break and crack as I took them apart, so i decided to introduce dovetail keys, these were let in to a depth of 25mm. By undertaking the above these doors should now remain stable and give many years of service.